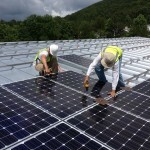 Solairgen is proud to be part of the solar history and growth in the United States. Hawaii ranks 9th nationally, and there are over 115 solar companies in the islands. To find out more about the specifics of solar companies and solar installations in Hawaii, please visit the Solar Energy Industry Association’s website, www.seia.org/state-solar-policy.